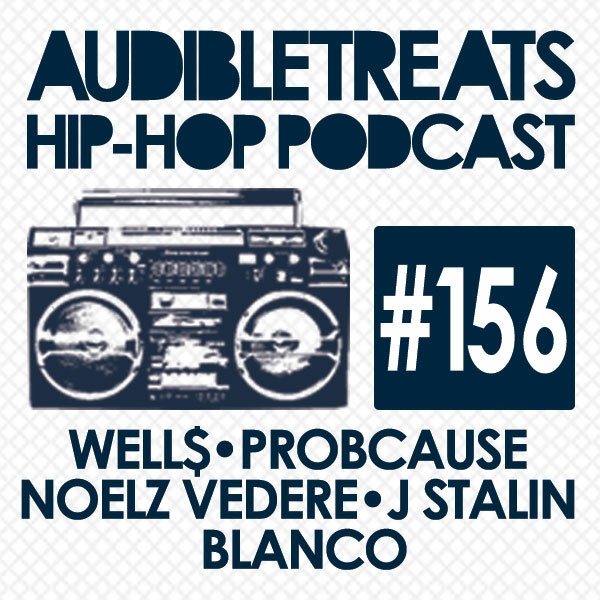 Hear the latest tracks from our roster in this week’s episode of the Audible Treats Hip-Hop Podcast. Kicking off the podcast is 19-year old Charlotte rapper Well$ and his track “Django.” The young MC just released a video for the song, which is from his upcoming MTSYD: The Revenge of the African Booty Scratcher mixtape, due May 19 via Immaculate Taste. After Well$, Chicago rapper/artist ProbCause, who hits us wit his latest visual, “Chicago Style.” Debuted by PotholesInMyBlog, the track is the first official single from his forthcoming WAVES EP, which is set for a May 12 release. Following him is fellow Chicago rapper Noelz Vedere and his Freddie Gibbs featured track “Out of Focus.” The talented Northside native is preparing for his upcoming studio debut, Bittersweet Victory. Highlighting the signature mob music sound the Bay Area is known for, we have J Stalin next with “G.I. Joe.” The track is from his recently released album, SID (Shining In Darkness), which premiered on SPIN. Finishing off our podcast are Bay Area rap vets Blanco, The Jacka, and Messy Marv and their track ““The Grassy Knoll.” Featuring Freeway, the song is the latest single release from the One Hunnid EP, which has charted the iTunes Top 100 Hip-Hop/R&B albums. Produced in-full by production duo Tha Bizness, the EP has since been made available for free download. Stay tuned for our next podcast.